Sachin Tendulkar was unlucky to miss his 100th hundred in the first innings by 27 runs but has another chance to create history by thrashing hundred in the second innings which can also enable India winning the first Test. Bowlers dominated the third day and the batsmen were at their mercy as 15 wickets fell on the second day of the match. Australia managed 333 runs in their first innings, India responded with 282, the home side was reeling at 179 for the loss of eight wickets and have gained an overall lead of 230 runs. The first Test of the four match series against Australia is being played at Melbourne Cricket Ground and has entered in an interesting stage at stumps on December 28, 201 which was the third day. Earlier Michael Clarke won the toss elected to bat and scored 333 runs in their first innings which was highlighted by 68 runs for the debutant Ed Cowan and 62 from the blade of their most experienced batsman Ricky Ponting. Zaheer Khan took the honours by clinching four wickets while the quickie Umesh Yadav and the rising spin star Ravichandran Ashwin shared three wickets each. India was chasing well at the close of the second day by reaching 214 runs after losing three wickets in 65 overs. 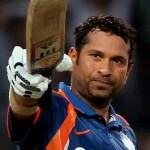 Tendulkar contributed 73runs as Virender Sehwag was gone after scoring an innings of 67 with couple of chances. Rahul Dravid and the night watchman Ishant Sharma were unbeaten on 68 and 0 respectively. 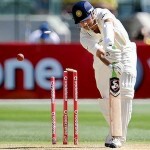 India faced an early setback on the third day when Dravid was bowled by Ben Hilfenhaus on the second ball without any addition in the overnight score. That was the start of the disaster for the visitors as their middle order collapsed and they were unable to cope with the pace attack. Ashwin showed some resistance in the lower order at 31 runs as the whole team was bowled out at 282 runs in 94.1 overs. Hilfenhaus was the star performer with five wickets, Peter Siddle claimed three as James Pattinson chipped in with two wickets. Australia gained a nominal first innings lead of 51 runs which can prove much at the end of the day. They had a horrible beginning of their second innings once the Indian new ball sensation Yadav penetrated through the top order. He accounted for the first three wickets, David Warner and Shaun Marsh were clean bowled as Cowan was declared leg before wicket. They were reeling at 27 for four wickets when the seasoned pair of Ponting and Michael Hussey came out to rescue of the team. The duo held the innings together and launched the counter attack later while adding 115 valuable runs for the fifth wicket. Ponting lost his wicket after scoring 60 runs and it was all left with Hussey to consolidate the innings. He held one end with responsibility while the wickets kept on sliding at the other end. The left hand batsman was unbeaten on 79 runs as the Kangaroos scored 179 runs for the loss of eight wickets, Pattinson was at the other end on three runs at the close of the third day’s play. 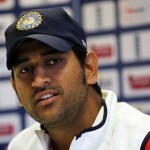 Seven of their batsmen surrendered against the lethal bowling of India and could not enter in the double figures. Umesh Yadav broke the back of their batting by grabbing four wickets, Zaheer took two as Sharma and Ashwin claimed one wicket each. The match has entered in to an interesting stage and Australia will bank on Hussey to add some useful runs which will enable them for a tight grip on the match as they have secured 230 runs lead so far. India will try to run through the tail as early as possible while Tendulkar has an excellent chance to smash his 100th hundred and win the first Test for the visitors.